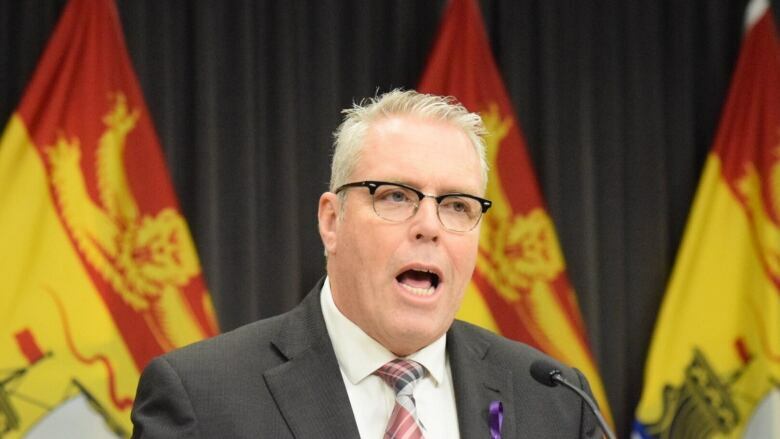 The New Brunswick government is on track for a lower-than-projected deficit in the current fiscal year, Finance Minister Ernie Steeves revealed Thursday. The new Progressive Conservative finance minister released a second-quarter update to the Liberal budget released in January. It projects a deficit of $131.4 million for the current 2018-19 fiscal year, down from the $188.7 million originally forecast by then-Liberal finance minister Cathy Rogers. That's mainly due to higher-than-expected revenue eclipsing a higher-than-forecast spending and isn't the result of any major policy changes by the four-week-old PC government, Steeves said. "That's what would have happened regardless," he said. 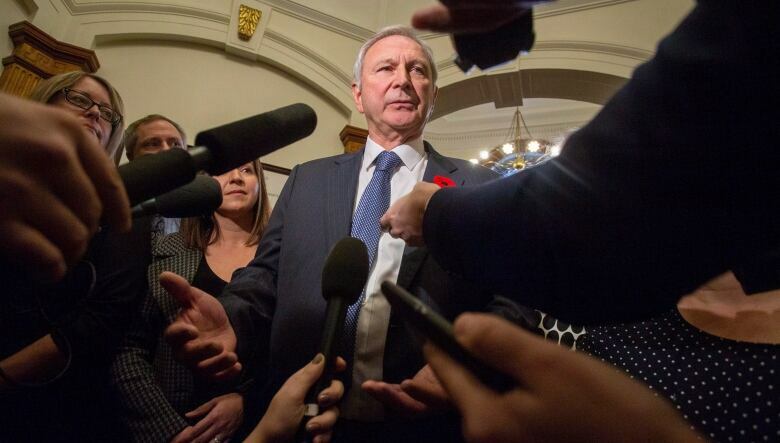 Liberal MLA Roger Melanson said the numbers are another example of the previous Gallant government exceeding deficit reduction targets. "There was some sort of narrative that was developed that we, as a Liberal government, were not good financial managers," he said. "I would argue the opposite." Despite the positive trend, Steeves warned that his first capital budget next week will mark a departure from four years of what he called "haphazard" Liberal spending on infrastructure. "We are serious about making decisions based on what we can afford and what's best for future generations," he said. "We're very aware of New Brunswickers' priorities, supporting health care and education, but you will see a definite shift in focus with respect to our capital budget," Steeves added. The capital budget is the province's spending plan for items such as roads, bridges and schools. "I will not be delivering shopping list as we've seen in the past," Steeves said. "Instead there will be a definite focus on maintaining the infrastructure that we already have." Melanson said the PCs appear to be planning a "bare minimum" capital spending plan that risks letting roads and bridges deteriorate, which he said creates "more costs in the future if you don't address some of the deficiencies in the infrastructure." The PCs have promised their second budget, due in 2020, will be balanced. Steeves said Thursday he could guarantee that will happen but he also said he'll try to get there even earlier, in his 2019-2020 budget expected in March. Steeves said he's been meeting with departments to find savings and that will involve "hard choices … but you know, there are also great things coming from it. We're finding all sorts of new ideas and that outside-the-box thinking is awesome." The 2018-19 update shows no major change in direction. The amount budgeted by the Liberals for the provincial rollout of early learning centres hasn't been reduced, even though Premier Blaine Higgs has said the program is under review. Spending is $94.4 million higher than budgeted, with most of that — $67.2 million — due to spring flooding. A large amount of that will be covered by the federal government. Spending on disability services, child welfare, housing and seniors by the Department of Social Development is $36.6 million higher than expected. On the revenue side, corporate and personal income taxes are bringing in more money than expected, as are federal transfer payments. But return on investments is down $45.6 million, mainly because NB Power profits are turning out to be lower than expected.